Anesthesiologists must be careful when administering drugs to patients, especially to women who are going through childbirth. They must use the correct drugs in the proper amounts. Even a small deviation from standard procedure can create long-term consequences for the mother and/or child. Errors occur when the anesthesiologist is negligent and fails to use the drugs in the proper manner. Errors can occur in the preparation of the medication (type/dose) and equipment (proper needle), in positioning the patient (usually on her side), and in the actual administration of the drug. If you or your child were left with a life-changing condition due to an anesthetic error during labor or delivery, you may have a case of medical malpractice. 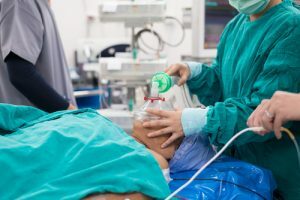 Part of an anesthesiologist’s job is to take extra care in order to ensure that all patients remain safe and healthy, and they should be held accountable when they fail to do so. Thurswell Law can represent you and your family to negotiate a settlement or take your case to court. For over 48 years, our attorneys have helped victims of medical malpractice secure the finances they need. Call Thurswell Law today to schedule your free consultation at (248) 354-2222. No fee unless you collect.